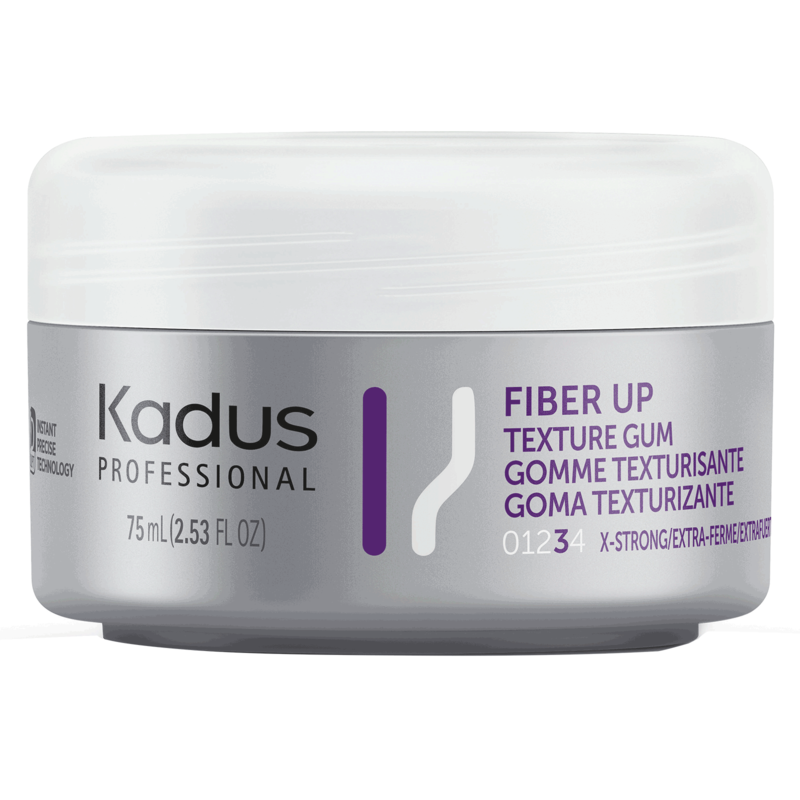 Kadus Fiber Up Texture Gum instantly provides perfect definition. Dual application. Work product between hands and apply on damp hair or pull hand apart to create fibers then apply to dry hair for more texturized effect. WATER/EAU, CERESIN, PETROLATUM, PROPYLENE GLYCOL, PVP, OCTYLACRYLAMIDE/ACRYLATES/BUTYLAMINOETHYL M ETHACRYLATE COPOLYMER, COPERNICIA CERIFERA (CARNAUBA) WAX/CIRE DE CARNAUBA, CETYL ALCOHOL, CETEARYL ALCOHOL, CETEARETH-25, ALCOHOL DENAT., MINERAL OIL/HUILE MINÉRALE, DICAPRYLYL MALEATE, PHENOXYETHANOL, AMINOMETHYL PROPANOL, FRAGRANCE/PARFUM, CARBOMER, PANTHENOL, METHYLPARA BEN,PEG-90M, PROPYLPARABEN,DISODIUM EDTA, BLUE1,EXT. VIOLET2.